With the help of this bundle you can put a chic and high quality retro game console in your living room. For the implementation we recommend RetroPie as well as our "How-to" from the reichelt magazine. Magazine: How-to in step by step explanation! Click >>>>>> RetroPi <<<< Genuine retrogaming feeling with the RPi through RetroPie in the NESPi Case (SNESPi Case)! 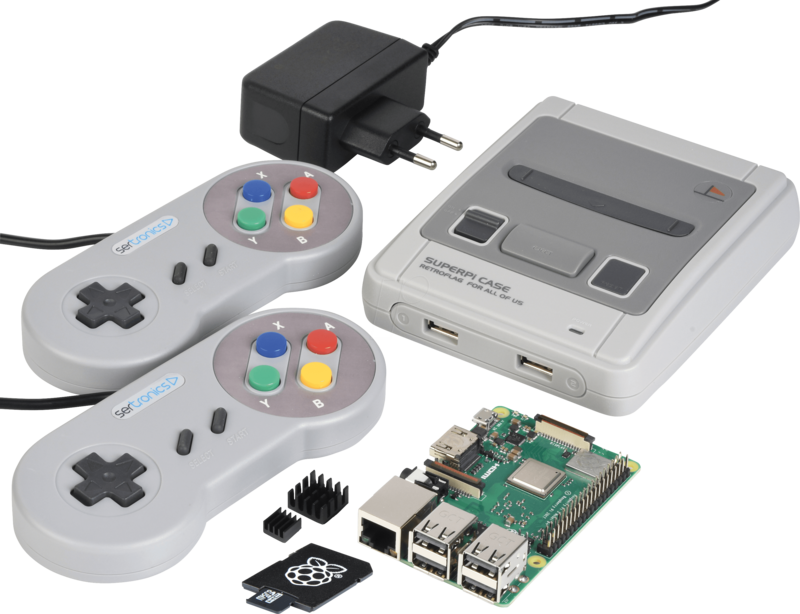 The new RetroPi version 4.4 or higher must be used for this bundle!